Alan and Jenny left for home in Nashville after breakfast. We left Skull Creek for Beaufort; a distance of 21 miles. What a contrast to Hilton Head. Beaufort dates back to the 1700's. There are beautiful old homes and an interesting shopping street. The marina is one of the best so far with very knowledgeable dockhands. The current is very strong. We came in facing the current and then the dockhand turned the boat around using the current so we would be facing the right way to leave in the morning. That way he said we could avoid being caught in 'ping-pong alley'. 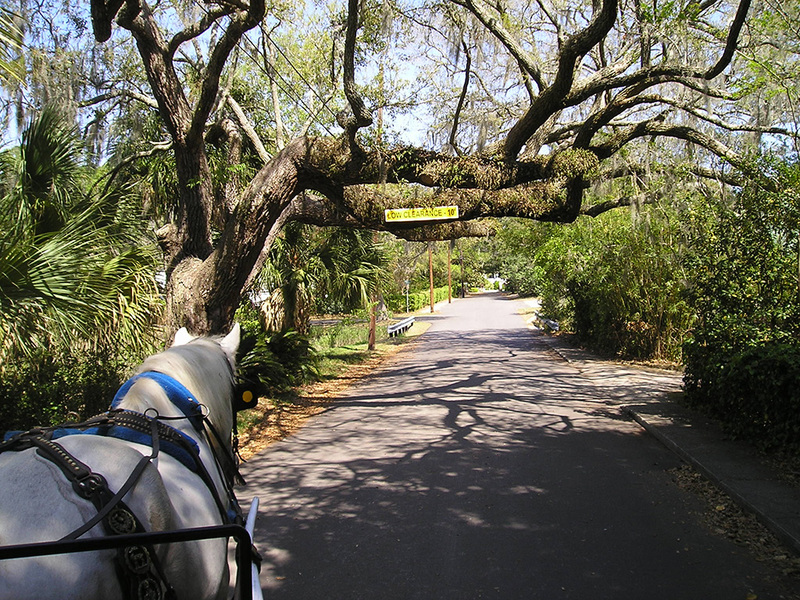 We took a horse drawn carriage tour around the town and learned all about the town's history from the driver. This was one of the richest cities in America during the 1700's and early 1800's. It was spared from being burned by the Union so a large number of ante bellum homes remain. All are lived in and well maintained.